The 42'x 42'Baltic Birch Flex Spring Floor. 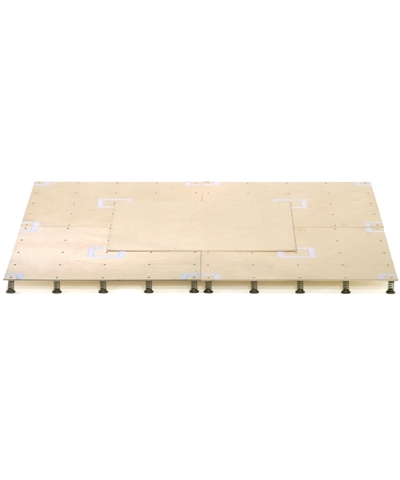 The Baltic Birch Flex Spring Floor is a strong flexible resilient system. 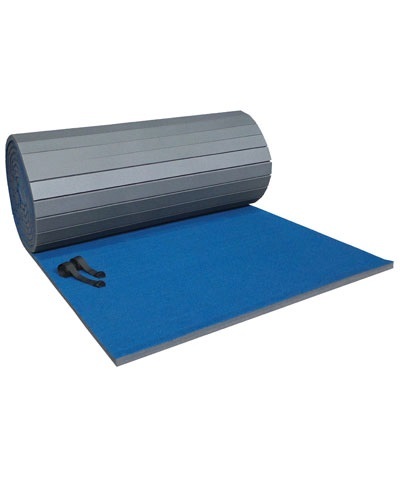 Features 2'x4" oil tempered springs which attach with an innovative plastic cap. Consist of a bottom layer of 5' x 5' x 9mm Baltic Birch plywood panels, each with 25 springs and overlaid with another layer 5'x 5'x 9mm Baltic Birch panels. Requires spring installation. This step saves you on shipping. Springs easily snap in place. The top layer is staggered by 2.5' over the bottom layer and held together with our unique hook and loop connectors at the edges and center of each panel. The perimeter is bolted together to keep the floor square and prevent the panels from sliding apart as on other Birch floor systems. 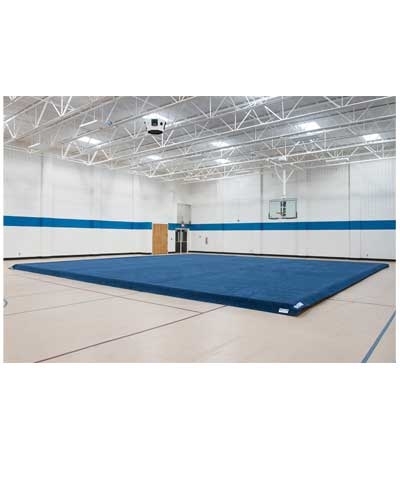 The 5' x 5' panels and hook and loop connectors make set up fast and easy; making it popular for cheer gyms and cheer competitions. 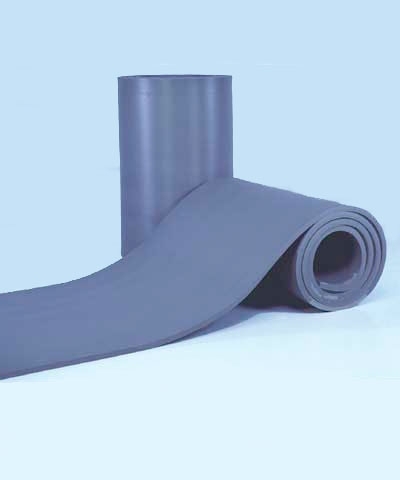 Requires 7 rolls of carpet bonded foam or Flexcell Foam and Flex Carpet. 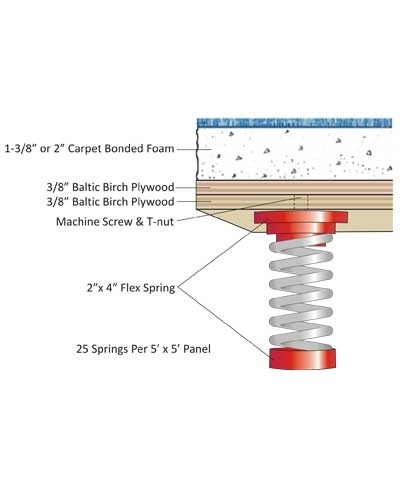 By GMR developed the first 2"x4" Elite Spring in 1986 and revolutionized spring floors. Equal to the Palmer Power Spring Floor.